Zoey has a beautiful daughter, Hazel, and one fur baby, Diesel. She enjoys spending time with her family and adventuring beautiful North Idaho. Her hobbies include hiking, swimming, and fishing in her spare time. 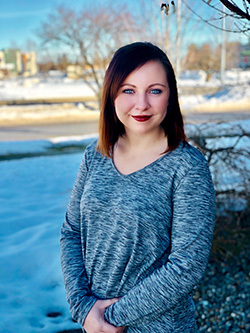 Zoey has been with Dickinson Insurance since 2015 and has loved every minute of it. She is passionate about serving her community and loves what she does. Zoey’s Claim to Fame: She has never lost a game of Apples to Apples.